Two years from now, new buildings will line Richmond's small downtown. Families will stroll by shops filled with retail goods, and residents of 45 new apartments and condos will commute on foot to ultra-energy-efficient offices next door. Hot new restaurants will attract crowds from Burlington, maybe even Montpelier. That's the vision for a "village infill" neighborhood on the site of the old Richmond Creamery off Bridge Street. Early last century, it was a thriving, farmer-owned cooperative that shipped local milk, cream and butter by rail to Boston and other big cities. A Saputo Cheese factory later occupied the site before closing in 1999. Today the "Creamery," as townspeople still refer to it, is a designated brownfield zone polluted with asbestos, lead paint and heavy metals. Local leaders have worked for years to facilitate redevelopment of the contaminated six-acre property behind Sonoma Station. The town helped the developer, Buttermilk LLC, to secure federal and state cleanup grants and tweaked zoning rules to make it happen. What no one anticipated was that another local entity — a neighbor, for all intents and purposes — would become a competitor for the real estate. On March 25, the backers of a proposed senior center and its board secretary, Rep. Anne O'Brien (D-Richmond), bought the Creamery out from under Buttermilk for $125,000. The surprise purchase roiled Richmond. For almost two months, residents expressed their outrage — at meetings and on Front Porch Forum — until the interested parties came to a community-sanctioned agreement last week. It's easy to see why the Creamery is so valuable to the town, a 4,000-person burg that lies 12 miles southeast of Burlington. Within the historic downtown, its four old buildings sit on a sloping wedge of land bordered by railroad tracks and the Winooski River floodplain. The distinctive profile of 4,038-foot Camel's Hump looms above it. The proximity of Vermont's third-tallest peak inspired the old Richmond Creamery to churn out Hump brand ice cream. The structures are sagging and now considered beyond repair. 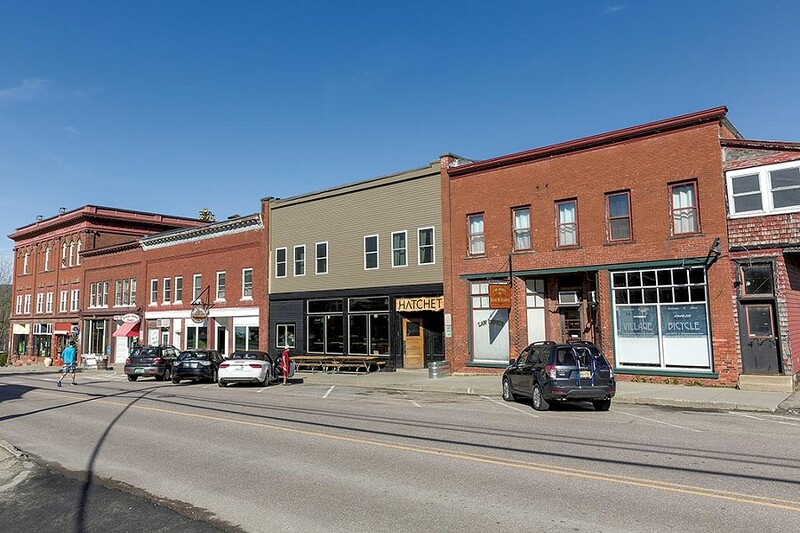 But the real prize, developable land, is located a half block from the downtown's shops, offices and restaurants on Bridge Street, and a short walk from the town's library, office and iconic Round Church. The river valley town that in horse-and-buggy days was a stopover for travelers on the old Turnpike Road is now pondering its future. Many residents want jobs, more tax revenue and some growth, but not in the suburban format on display up the road in neighboring Williston, where big box stores and large housing subdivisions have dramatically changed the face of the community. For years, it was Buttermilk or bust. 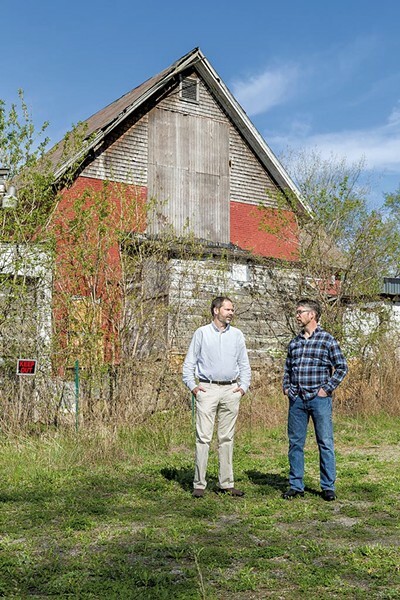 The long-vacant Creamery had seen price drops as developers grappled with the challenges and costs of cleaning the polluted patch. Several had come and gone before Brendan O'Reilly of Stowe-based Gristmill Builders stepped up, and the town embraced him. He chose the company name — Buttermilk — to acknowledge the property's rich history. O'Reilly had an option that ran thorugh March 15 to purchase the Creamery property from its Florida-based owner Craig Caswell for $100,000. Selectboard members helped him get two cleanup grants: One from the state for about $500,000 and another for about $200,000 from the federal government. But the fine print of the grant rules explained that Buttermilk had to wait to get the $500,000 grant before buying the Creamery property. O'Reilly asked Caswell for an extension. But the land owner, frustrated with the delays, said no and called O'Brien to see if the senior group wanted to the buy the property instead. "It's not an accurate characterization to say that we swooped in," O'Brien said of the real estate deal that closed 10 days later. "It actually kind of fell into our lap," she said. O'Reilly didn't see it coming. "We were very surprised," he said, lamenting the countless hours his firm had invested assessing problems on the property, applying for grants and working with the town. He also pointed out that the cleanup money was not transferable to a new owner and developer, and the senior group would have had to reapply for the funds, with no guarantee of getting them. "To me it was like the product of a public policy tantrum," said Steve May, a member of the Richmond Selectboard who strongly backs the Buttermilk project. "There was a process; the town had been part of a collaborative plan ... The seniors got impatient. They didn't feel like they were getting the building they desired, and they acted out." O'Brien told Seven Days that the town's seniors, who now use rented space for gatherings, have for at least six years been interested in the Creamery parcel and at one point were hoping to partner with Buttermilk — but those plans fell through when O'Reilly informed them that a freestanding senior center on the property was not an option. Chris Granda, a former selectboard member, called a meeting at Camels Hump Middle School last week to explain the situation to the Richmond community. He said he respected the integrity of the town's lone legislator but didn't support her group's purchase of the property. He urged the crowd to get in touch with O'Brien to send a message: Sell the property to Buttermilk. "Please contact your state representative and express your opinion," Granda said. Four sitting selectboard members at the meeting echoed his sentiments. Most of the 35 Richmond residents in attendance expressed dismay that the neighborhood development, and hundreds of thousands of dollars in grant money for cleanup, was at risk. Some called the senior group's purchase "irresponsible" and opined, "It smells bad," insinuating that O'Brien may have had some "insider knowledge" that aided the unpopular purchase. Only one person at the meeting stood up for the Community Senior Center group. Gary Bressor said the group deserved the chance to partner with a developer of its own choosing to construct a building that could lay the groundwork for other needed amenities, such as a bigger grocery store, in town. "I don't really like the public flogging of the senior center that this has kind of devolved into," added Bressor, a local developer. O'Brien, who did not attend the meeting, denied there was anything nefarious about the purchase process. "Any information I had was public information," she said. Allegations of impropriety are "just not true." In the end, Richmond's ongoing local opposition helped push O'Brien and the seniors into negotiations with Buttermilk last week. On Friday afternoon, Buttermilk secured an option to buy the Creamery property from the Community Senior Center group for $135,000. The seniors will build elsewhere, according to O'Brien. "It's nice to have the train back on the tracks," Buttermilk's O'Reilly said of the project. He sees it as a small-town triumph for Richmond, where a derelict downtown property is one step closer to revival. Cleanup is expected to start this fall; construction, next spring. O'Reilly said, "When you find these defunct nucleus parcels, they can be developed properly such that it brings more heart and soul to these towns that need that and want that."